ChipMOS TECHNOLOGIES INC. ("ChipMOS") is one of the world’s largest semiconductor services companies, providing a full range of back-end testing services for liquid crystal display (LCD) drivers, high density memory, and mixed-signal semiconductors. 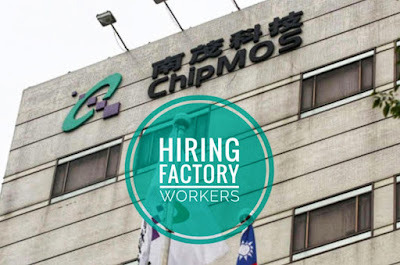 ChipMos Technologies Inc. (南茂), the fourth- largest integrated circuit packaging and testing firm in Taiwan. Visit and apply personally at JS Contractor at JSCI Bldg., Magallanes St., Intramuros, Manila.